Our R&D Lab is embedded within a leading university giving us vast access to a pool of interdisciplinary experts. Our past projects have included zoologists, microbiologists, botanists, structural engineers and more. Dr Robert Ross is the Director of RAMPS and is a Senior Lecturer within the Department of Engineering. 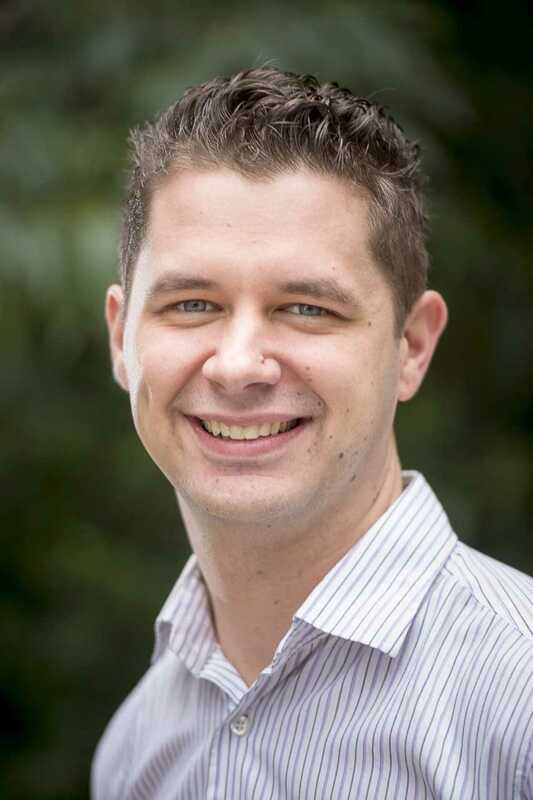 Robert has a PhD in Robotics and two first class honours degrees in Electronic Engineering and Computer Science. Robert actively conducts and delivers R&D projects related to Robotics, Embedded Systems, Sensors and Mechanical Prototype Systems. Robert has published in a wide range of international conferences and journals across these research areas. Robert has also been a guest presenter at CONASTA, STAVCON, LABTECH, DATTAVic and other STEM based conferences. Robert designed some of the key STEM outreach programs used within the Engineering Department including LaserTag, LaserBot and BristleBot. Robert's R&D heavily tends towards creating functional prototypes and is keen to employ his considerable background in embedded systems and robotics to actually make things work - rather than just modelling them. Dr Dennis Deng is an Associate Professor within the Department of Engineering and an expert in Signal and Image Processing. Dennis has conducted several significant signal analysis industry projects including a recent project with signal speech processing for Cochlear. Dennis has research interests in vision systems, deep learning, data compression and signal processing. Dennis has a significant collection of journal papers in top-tier signal processing and image processing journals including IEEE Transactions on Signal Processing and IEEE Transactions on Image Processing. Dr Simon Egerton is an Associate Professor and is the Deputy Head of the Department Of Computer Science and IT. Simon has worked both as a professional engineer in industry (designing and implementing embedded and real-time systems) and as an academic researcher in robotics and AI. 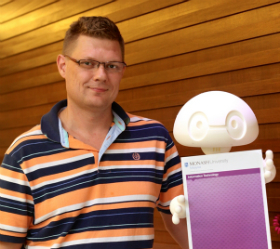 Simon has a background in hardware, software and artificial intelligence and has applied these interests to the area of intelligent autonomous robots and more recently to ideas of human robot interaction. Simon is the co-founder and director of the Creative Science Foundation (CSf), a non-profit foundation dedicated to exploring the use of science fiction as a means to motivate and direct research into new technologies. The recent Creative Robotix project from CSf is currently being adopted into schools across the region and further afield. Simon currently holds an adjunct position with Monash University and is a visiting member of the Intelligent Inhabited Environments Group at the University of Essex in the United Kingdom. Applied areas of research interest, Health (telemedicine, social robot platforms), Agricultural Technology (internet of smart things, precision agriculture with autonomous robotic technology), and Smart Cities (internet of smart things). Dr Alex Stumpf is an Associate Lecturer within the Department of Engineering. Alex has an honours degree in Mechatronics and completed his PhD on the development of Switch Reluctance Motor drive technology using a controller based on a Field Programmable Gate Array (FPGA). Alex was recently apart of a research team funded by the AutoCRC to design and develop a cost effective electric vehicle drivetrain for the Australian and international automotive markets. The team developed electronic control systems for the electrical motor, battery and vehicle operations. Alex is currently working on a low cost active RFID food tracking device for logistics and supply chains within La Trobe University's Centre for Technology Infusion. This project recently received a nationally recognised award at the 2017 AIIA iAwards. In addition to this project Alex is also working on developing new and novel robotic platforms for waste water management. The research project aims to produce a robot which can profile the sewer system ensuring that problem areas can be prioritised and repaired. This research will increase the efficiency and reduce maintenance costs which extend into multi-million dollar repairs. Dr Song Wang is an Senior Lecturer in the Department of Engineering at La Trobe University. Song has a PhD in control systems and a BEng in Electrical Engineering. Song worked in industry at NEC from 2000-2004. Song has teaching and research interests in control, signal processing, biometic security and blind channel estimation. 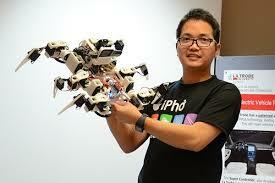 Dr Tommy Huynh is an Associate Lecturer in the Department of Engineering at La Trobe University. Tommy has a first class honours degree in Electronic Engineering and a PhD in Machine Vision. Tommy is currently doing research as well as teaching a number of engineering subjects in systems modelling and electronic design. Tommy's research interests are image processing, computer vision, robotics and engineering for sustainable society. 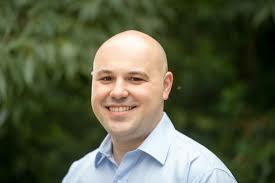 Mr Adam Console is an Associate Lecturer in the Department of Engineering at La Trobe University. Adam has a honours degree in Electronic Engineering and a Masters Degree in Biomedical Engineering. Adam is heavily involved in mechanical prototyping. Adam teaches CAD courses and is our primary power users of our CNC milling machines. 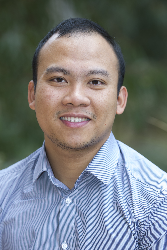 Dr Ba Son Thai is a sessional lecturer within the Department of Engineering at La Trobe University. Son has a PhD in Computer Vision and image processing. Mr Lyle Parsons is a current PhD candidate within the Department of Engineering. Lyle is completing his PhD related to IoT approaches to Machine Vision. Mr Matt Felicetti is a La Trobe engineering graduate and received the David Myers medal for the most outstanding student in all of the faculty. Matt has highly developed skills in creating quick functional prototypes in mechanical and embedded systems domains. Mr Jaydeep Patel has a masters degree in electronic engineering and is a sessional tutor within our engineering undergraduate courses. Jay had specalties in embedded system design.